This is a fun dish we make with our family or with friends. You will be surprised how healthy, inexpensive and easy to make these pan fried spring rolls or dumplings are! They can be fried, steamed or added to a soup. 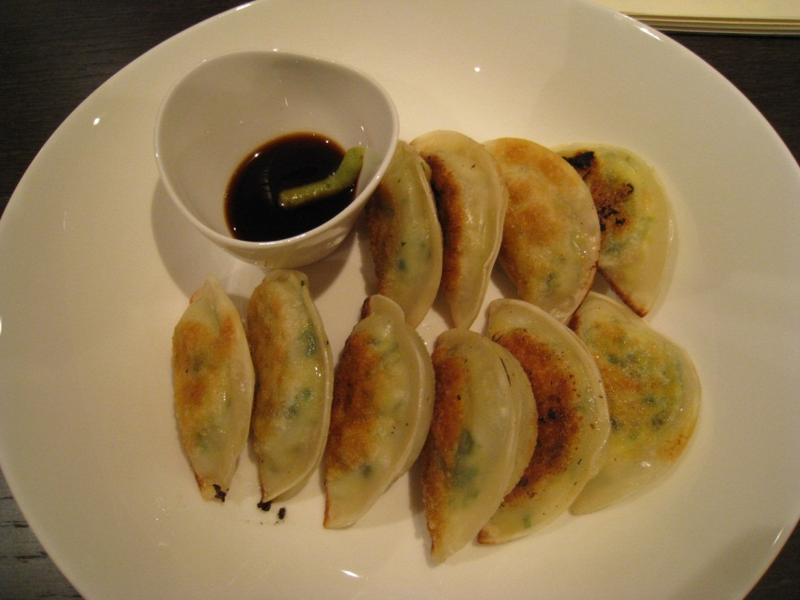 You can freeze uncooked Mandu if you do not want to use them immediately. I used a pastry wrapper called “ Mando Pi “, made from flour and water, which you can buy frozen from a Korean supermarket. Here I used only one pack of Mandu Pi which used about 1/3 of the filling. The rest I used with puff pastry to make tarts. Mandu Pi comes frozen so it must be left at room temperature for at least five hours to defrost. Korean cooking wine, called Cheong ju or you can use Japanese sake. 1 egg white to seal the Madu Pi or if you want to make 90 pieces of Mando then you need 2 egg whites. Use a half a pack of tofu cut it into four pieces. Wrap it in some layered kitchen towels and press and squeeze to release all the liquid into the towels. Do not worry about of the shape of the tofu because next we break it up into very fine pieces. In a large mixing bowl, combine the smashed tofu, chopped carrots, baby sweetcorn, parsley and chicken breast. Add the grated garlic, red chilli, 1 egg york, white pepper, the cooking wine, salt, sesame oil, sugar and toasted sesame seeds. Mix with a spoon to combine.Pan fry a small sample and taste adding salt, pepper or sugar if desired . Cover with a chopping board with baking paper and then lay one Mandu Pi on it. Place a spoonful of filling in the centre of the Mandu Pi and then paint the edge all around with egg white to seal. Fold in half and press the edge firmly to stick it.Repeat to make as many rolls as you want. Put one tablespoon of olive oil in a frying pan and add some of your Mandu then leave them frying with a closed lid for 1- 2 minutes over a low heat. Turn them over and fry for another 2 minutes.Open the lid and pan fry them for a further 3-5 minutes with a medium to low heat until they go brown in colour, not forgetting to fry both sides and the thick edge as in the picture.Try to cook with a low heat. Alternatively you can steam or boil the dumpllings as you wish. Another use for this filling is to use puff pastry to make a tart. (Korean Mando fillings meet with a Western puff pastry). After baking the puff pastry, do not forget to garnish with some chilli sauce to give a little kick in your mouth. You can taste the harmony between oriental and western ingredients. You can freeze the uncooked puff pastry tarts if you do not want to bake them immediately.